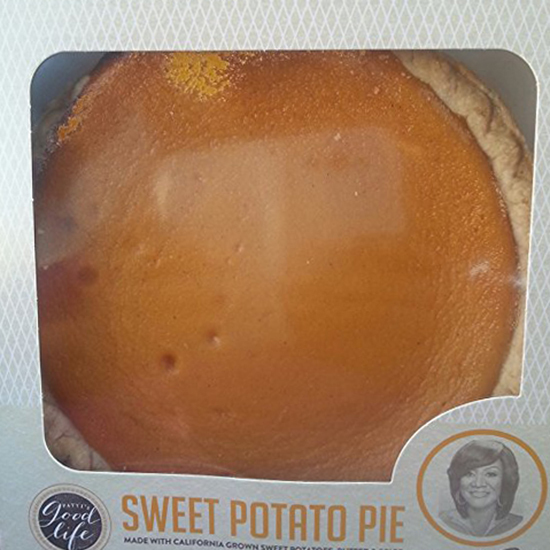 Remember the Patti LaBelle Sweet Potato Pie frenzy? Being that it happened before the holiidays, way back in 2015, my guess is you may have completely forgotten about Patti’s pie juggernaut. Well, Walmart hasn’t forgotten. For the massive retailer, the Walmart-exclusive pies were a huge seller, with stores moving more than a pie a second at one point, that sparked a lot of positive buzz for a brand that isn’t regularly associated with the idea of “positive buzz.” And, of course, they want to keep the good times rolling. Not only have they switched Patti LaBelle’s Sweet Potato Pies from a one-time seasonal offering to a year-round bakery selection, the company is also introducing two new branded Patti sweets. This month, shoppers will be able to grab Patti’s vanilla pound cake and Patti’s caramel cake in the Walmart bakery department. According to BuzzFeed, these two new products have been in the works since LaBelle and Walmart teamed up last March, but obviously there’s added incentive to get them to market as soon as possible at this point. The $6.44 pound cake hit stores today; the caramel cake, which is a more serious $13.94 endeavor, doesn’t arrive until January 18. And even more Patti LaBelle desserts are in the works. Will these products prove to be as successful as the pie? Kinna Thomas, Walmart’s senior buyer for cakes and pies, is staying positive. “We hope so!” she told BuzzFeed. I mean, just remember what happened after Patti LaBelle topped the charts in 1986 with the song “On My Own”… That’s right: She never cracked the Billboard "Top 20" again.